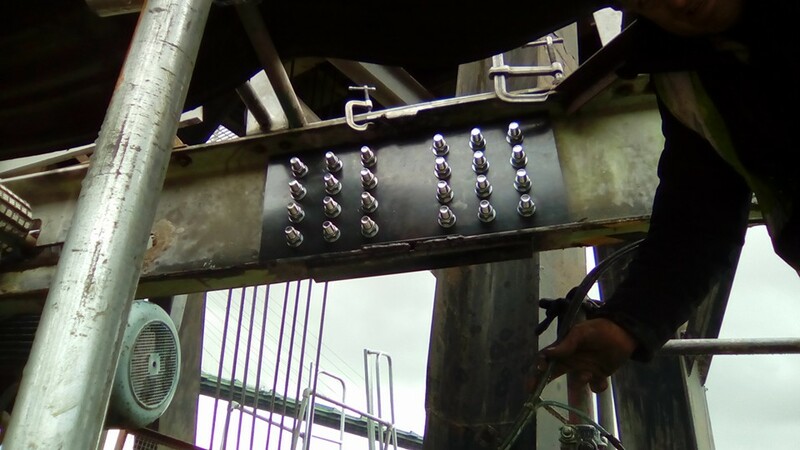 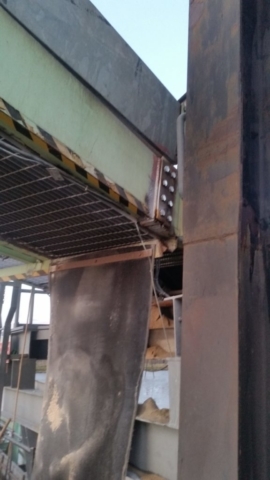 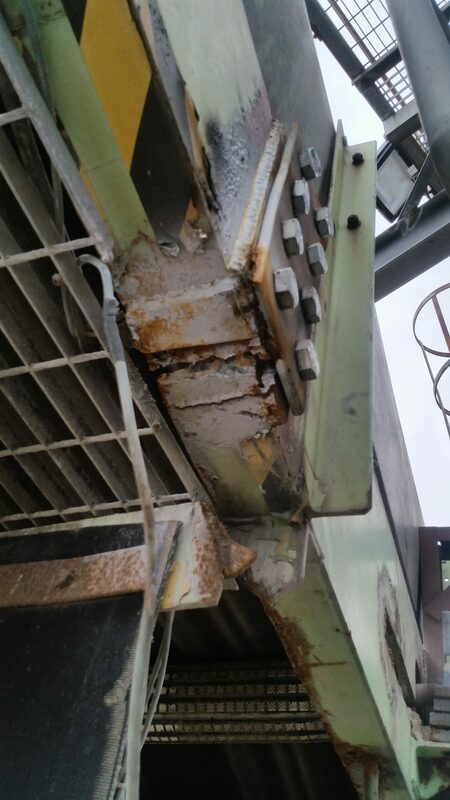 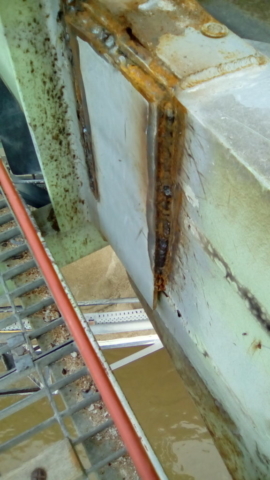 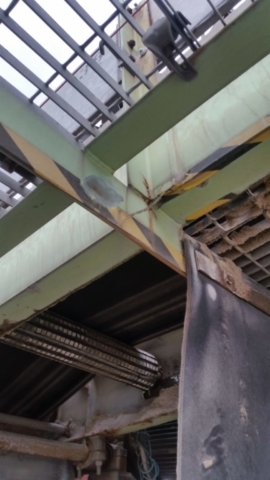 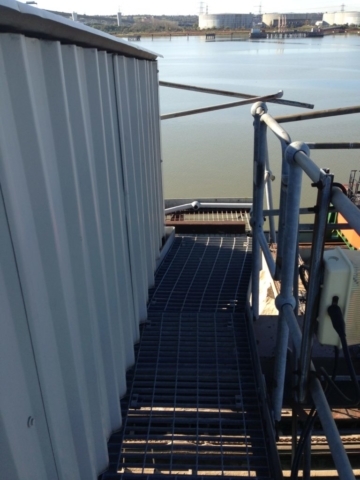 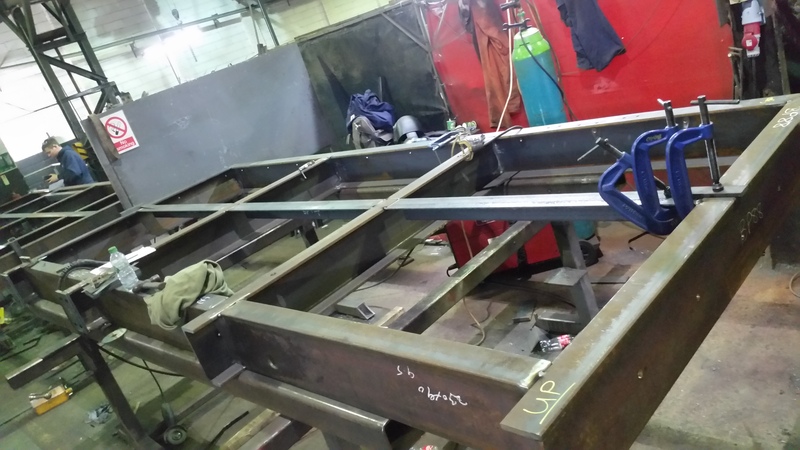 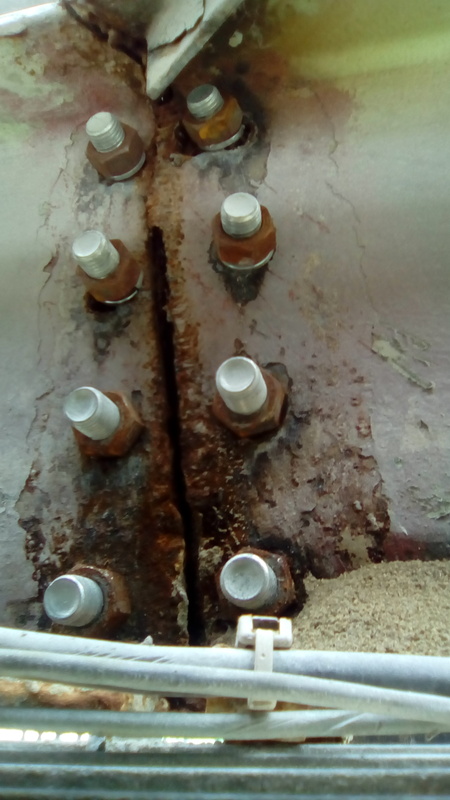 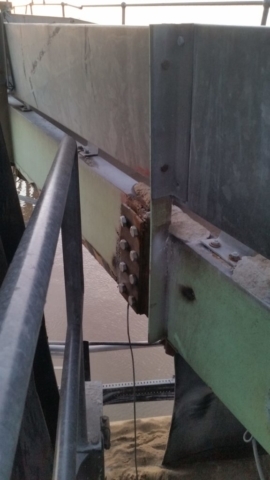 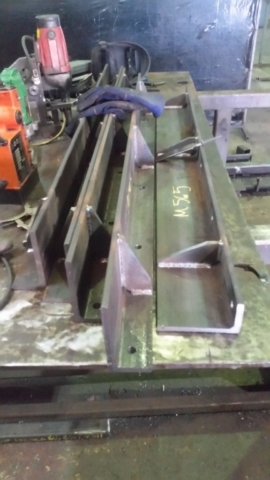 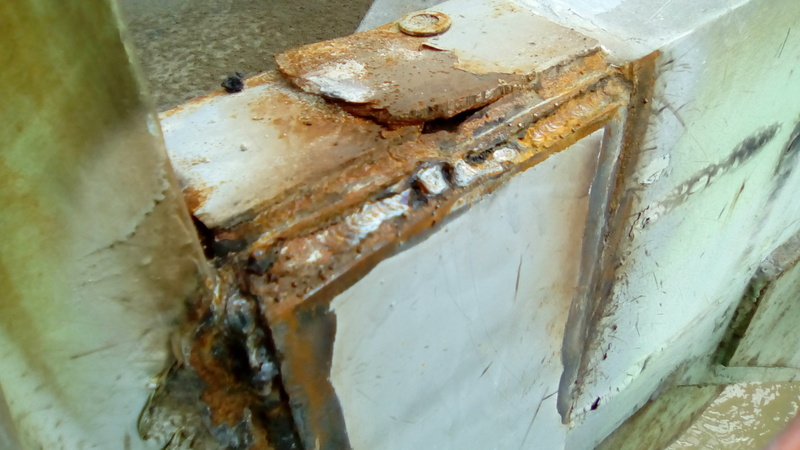 This is a repair made to a foreshore ship-to-shore conveyor installation. 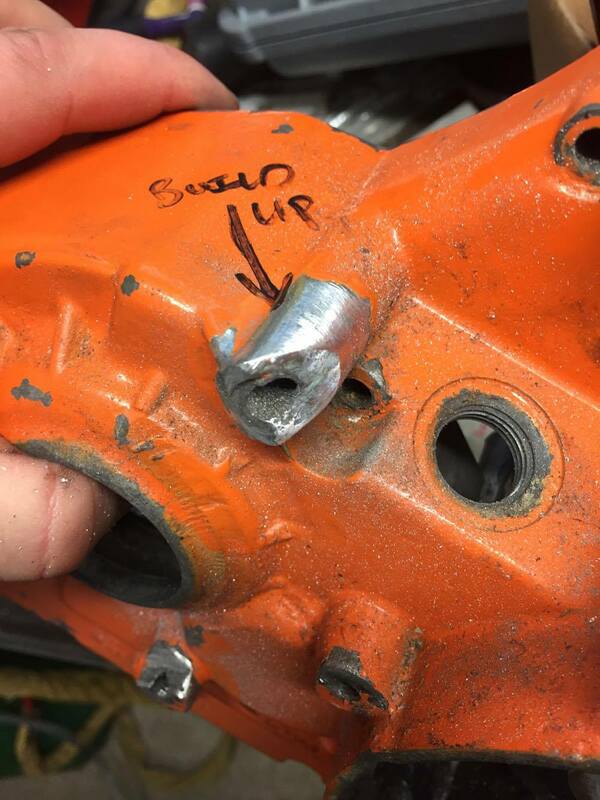 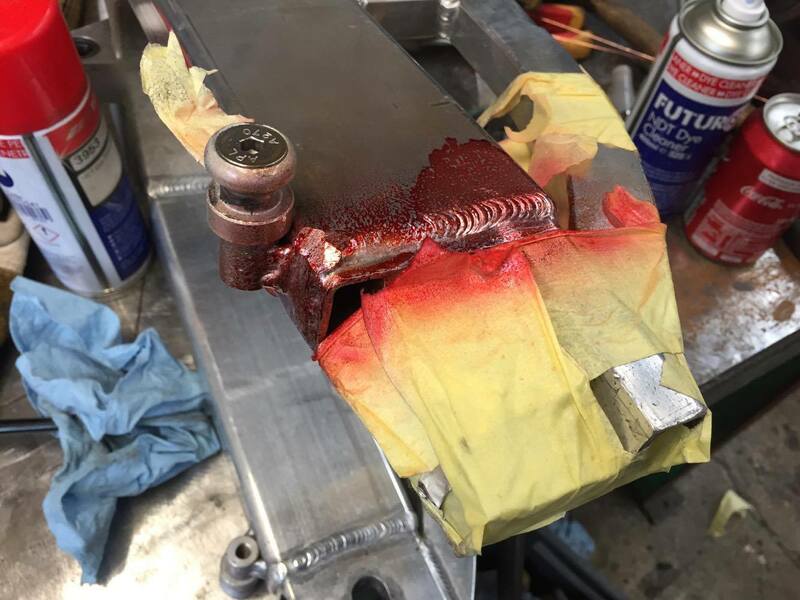 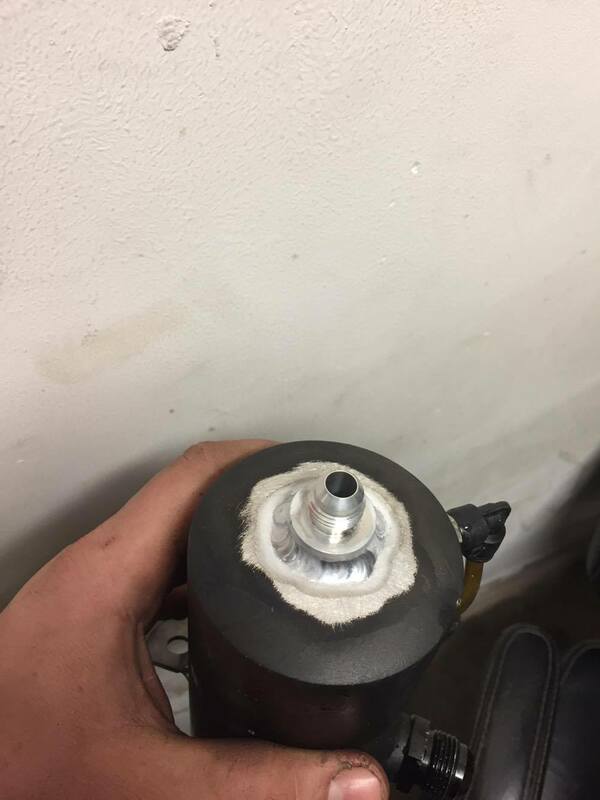 Two previous, unsatisfactory repairs had been made by a third party, which had both failed. 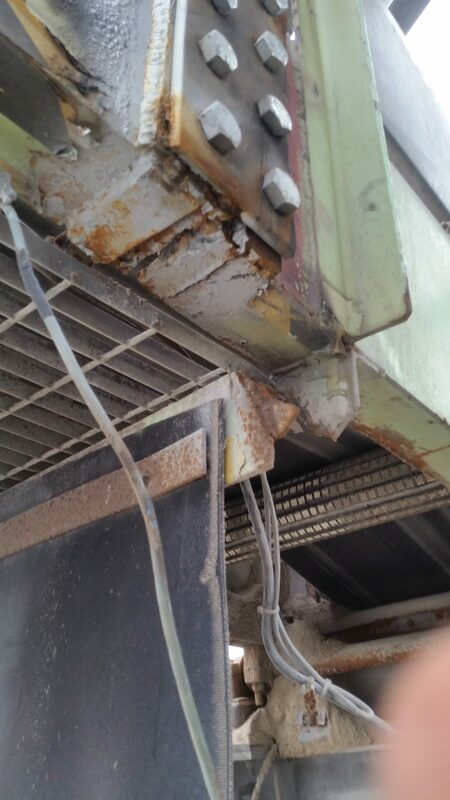 To date our repair is still in place, keeping this vital piece of equipment working. 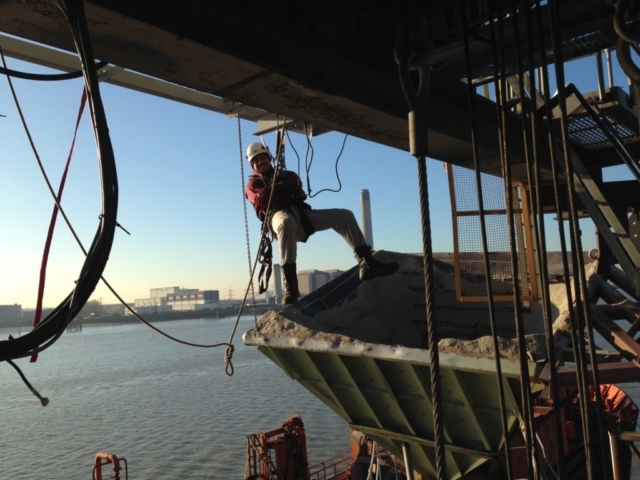 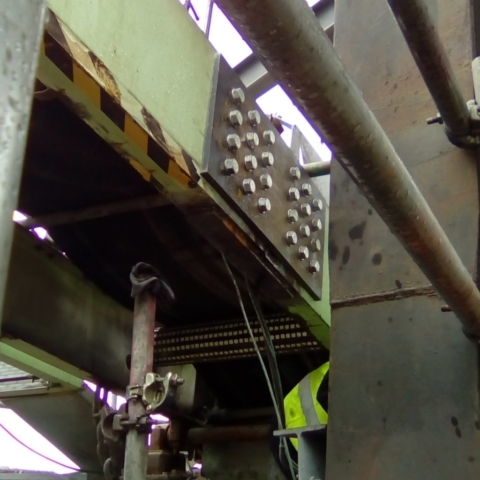 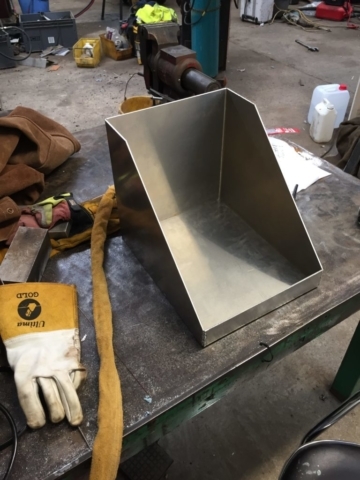 One of our largest clients, Hanson Cement operates globally, and we are pleased to be able to work with them on large and difficult repairs that often require a tight deadline in order to get production up and running again. 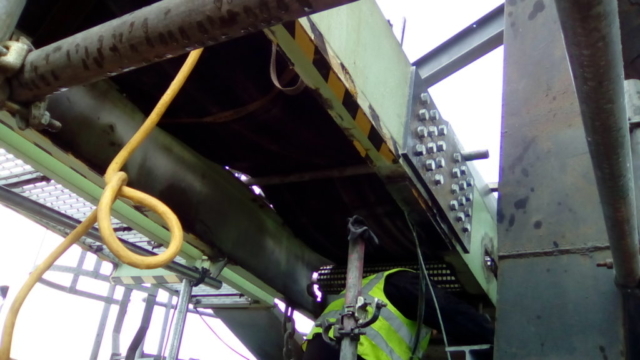 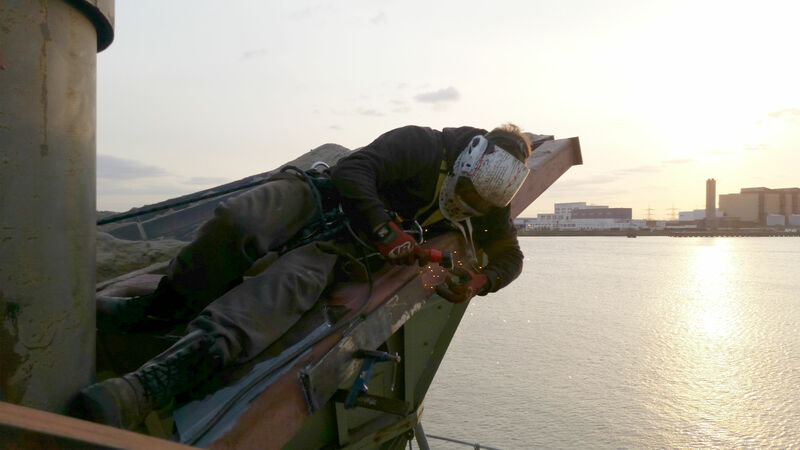 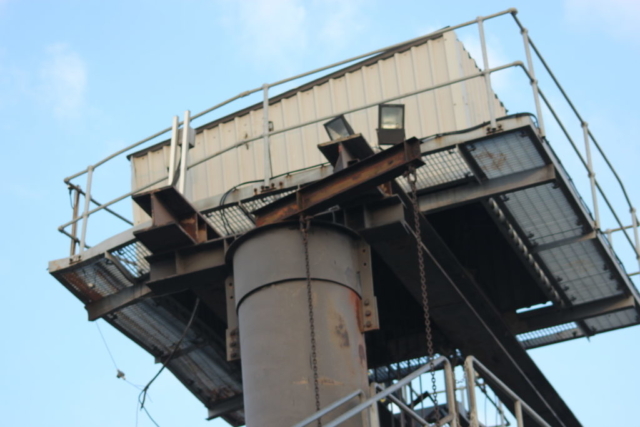 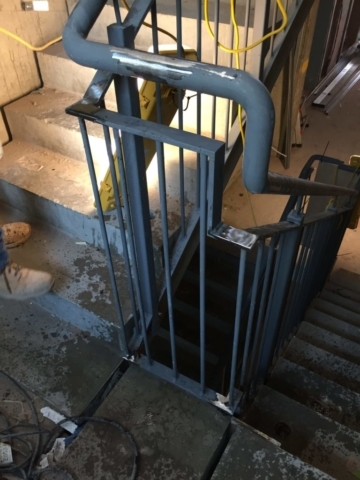 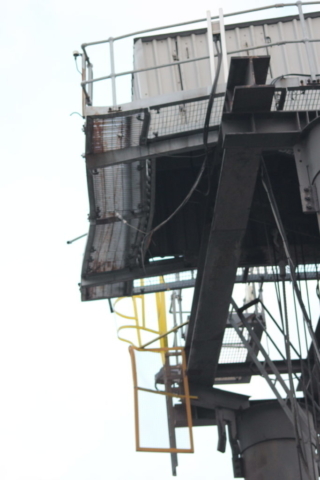 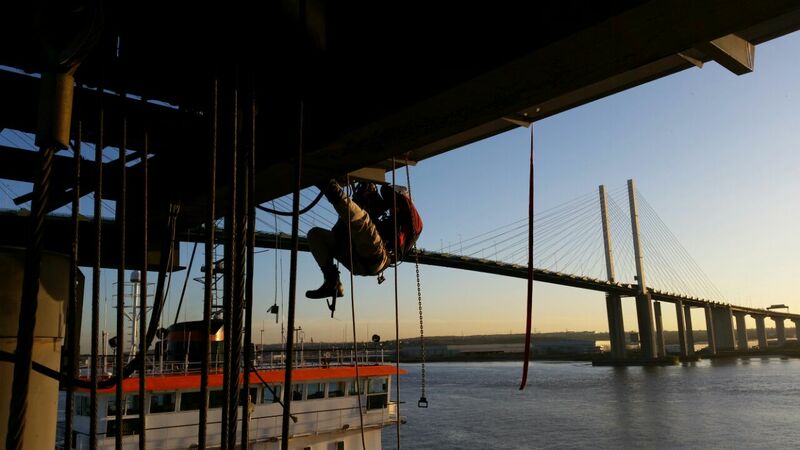 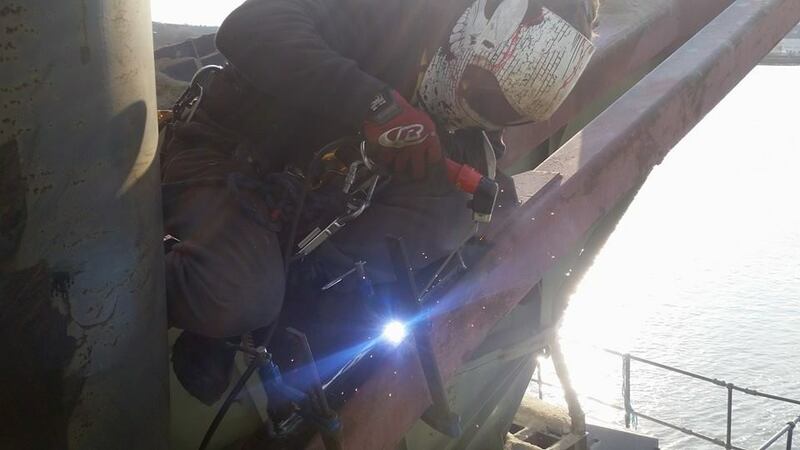 The images below are from various repairs & installations that required the use of rope access, including the pilot boat access ladders and a winch platform repair. 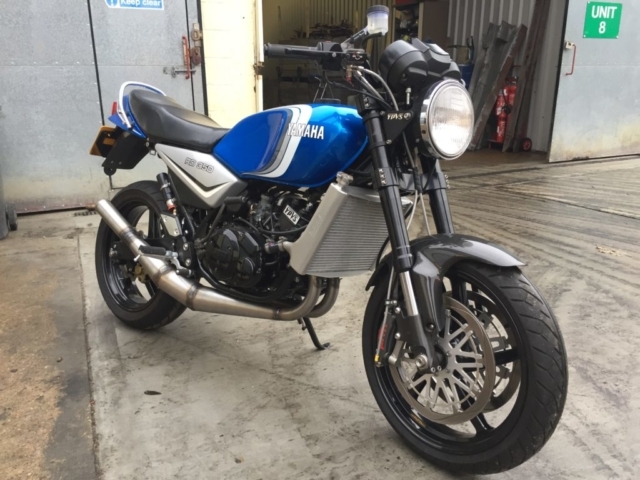 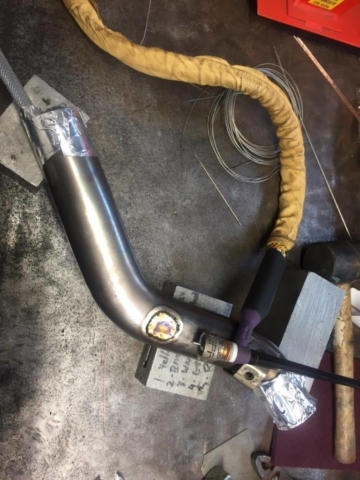 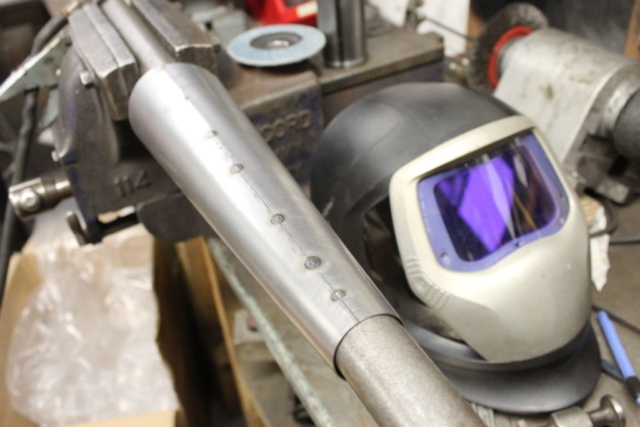 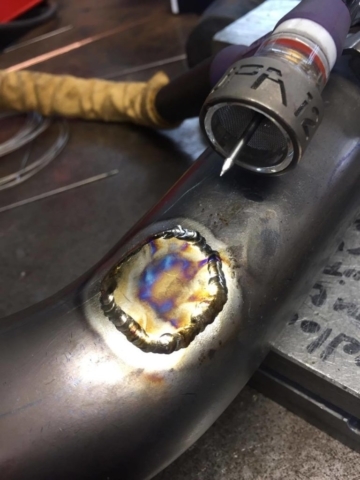 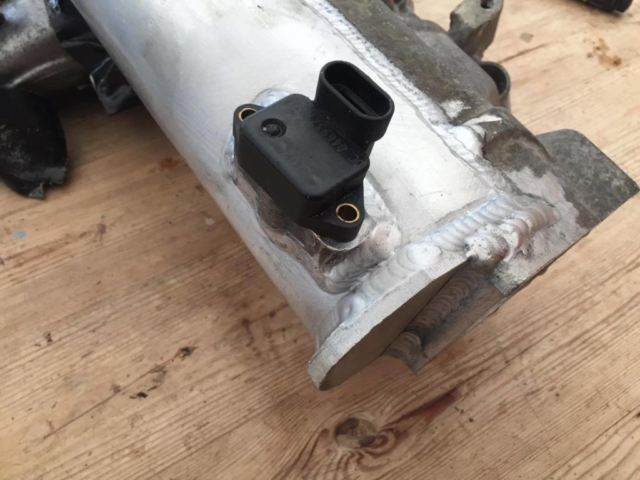 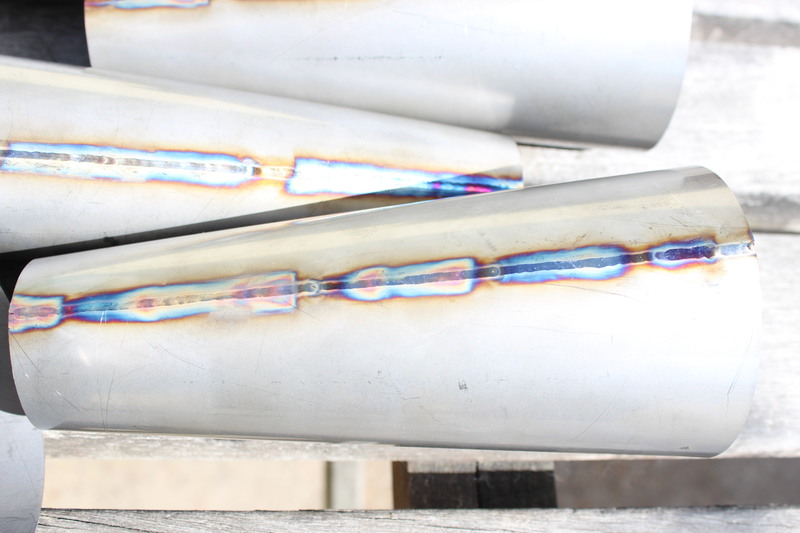 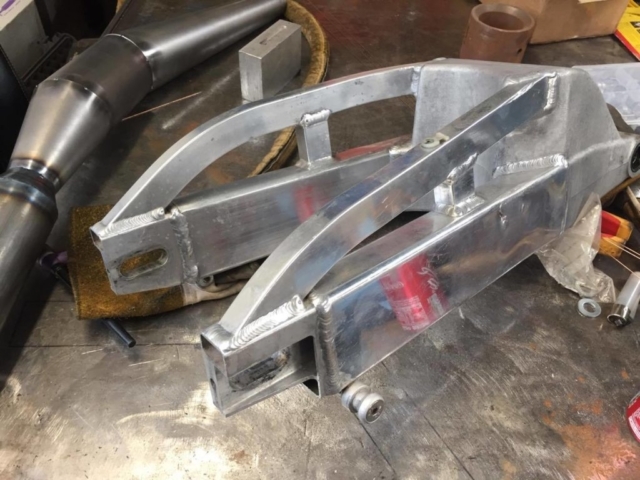 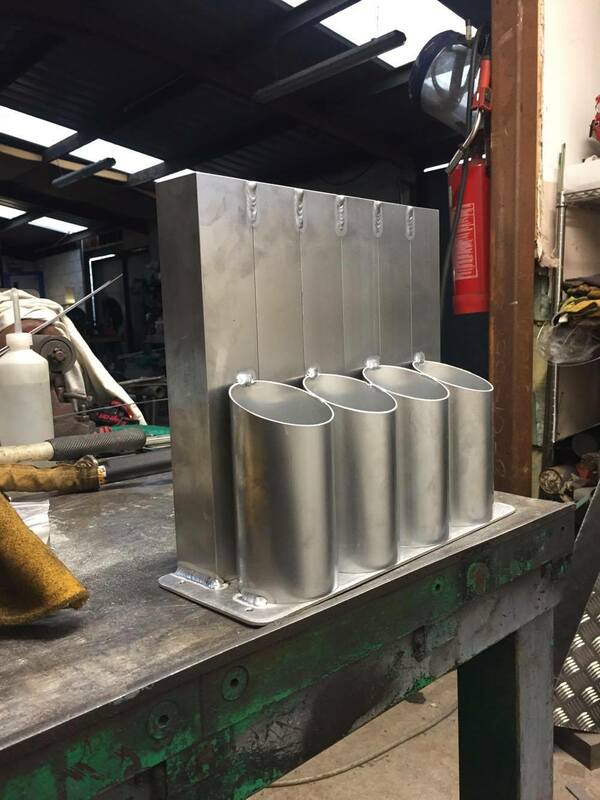 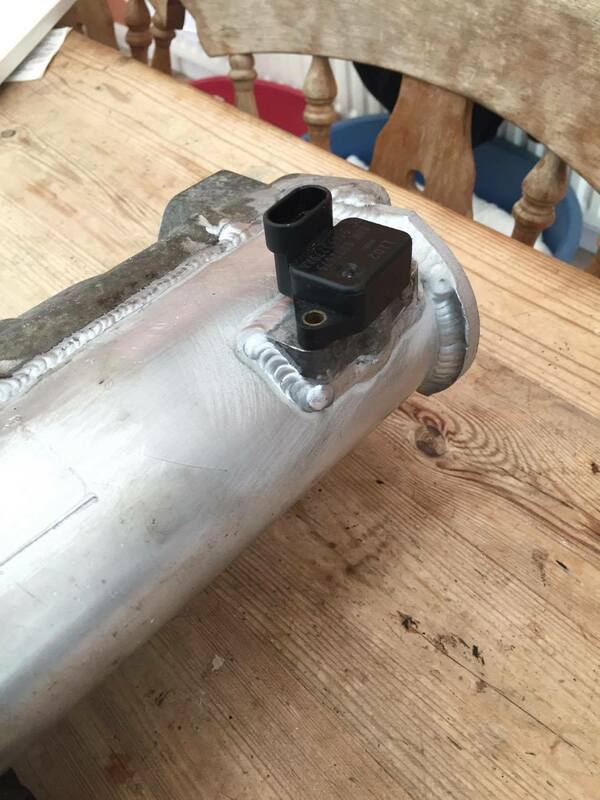 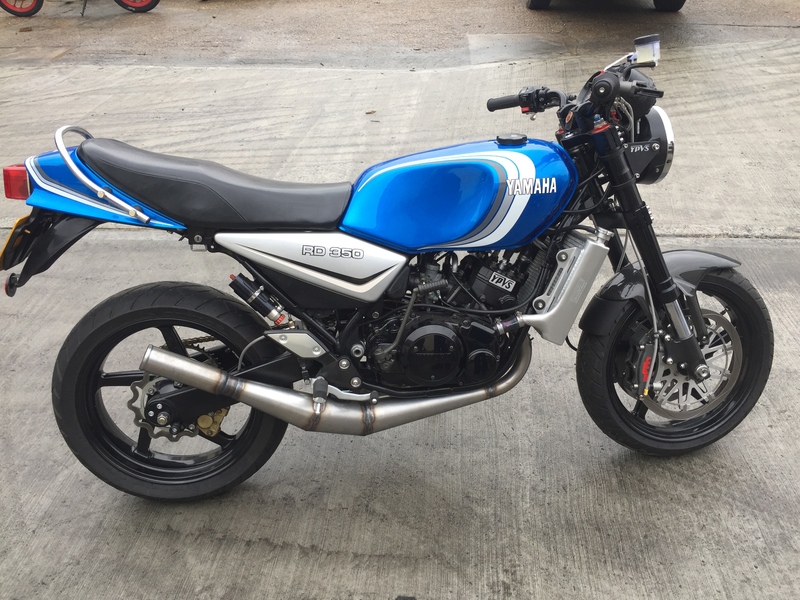 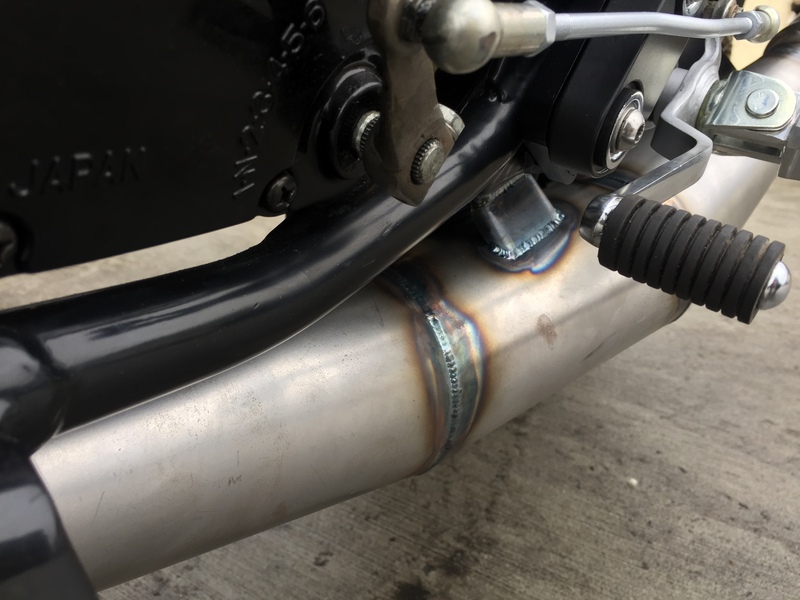 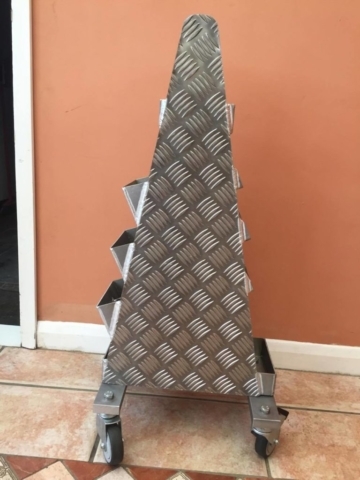 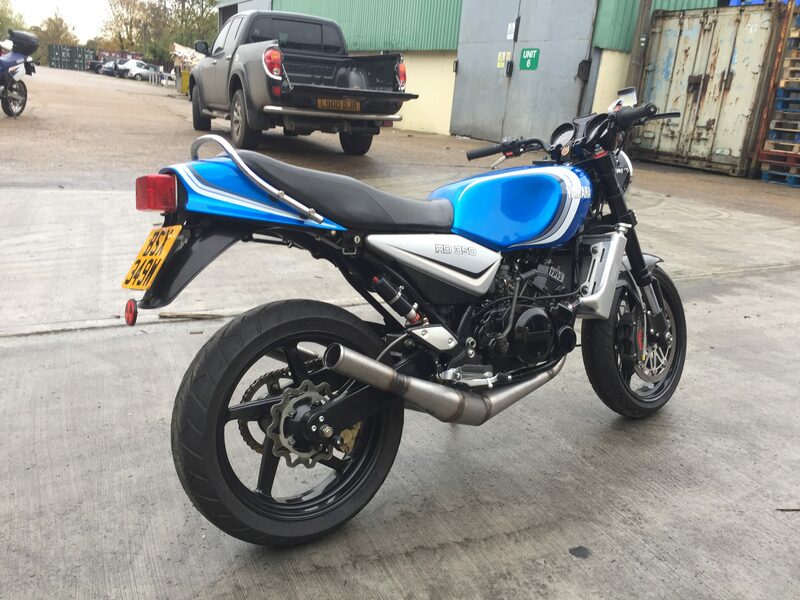 Gibson Exhausts have a long history of supplying handcrafted exhausts to the motorcycle community and it is our pleasure to work with them, carrying out the welding on all their exhaust systems. 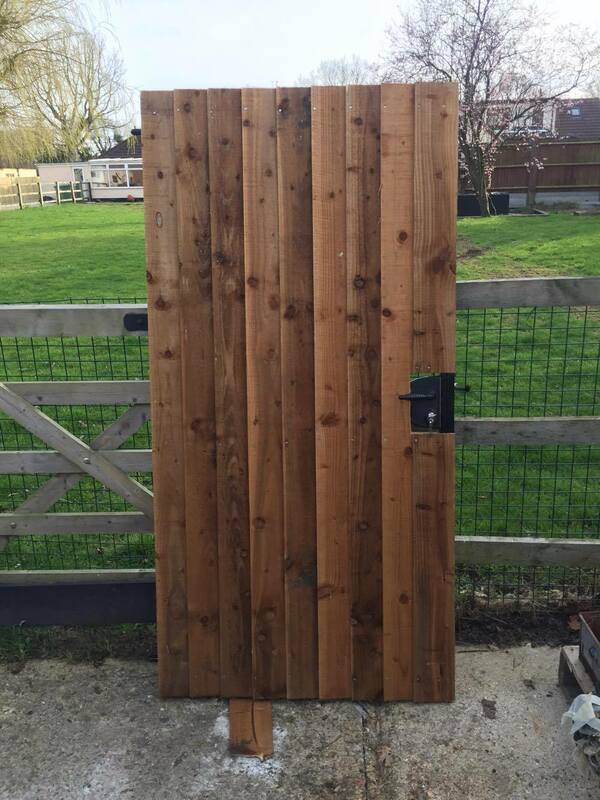 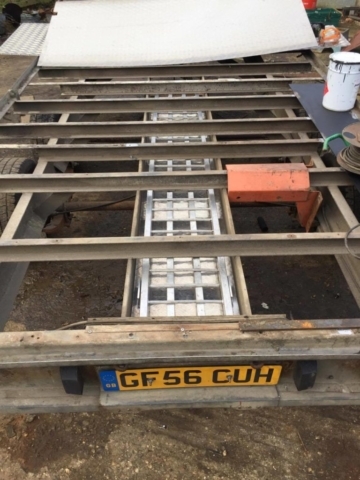 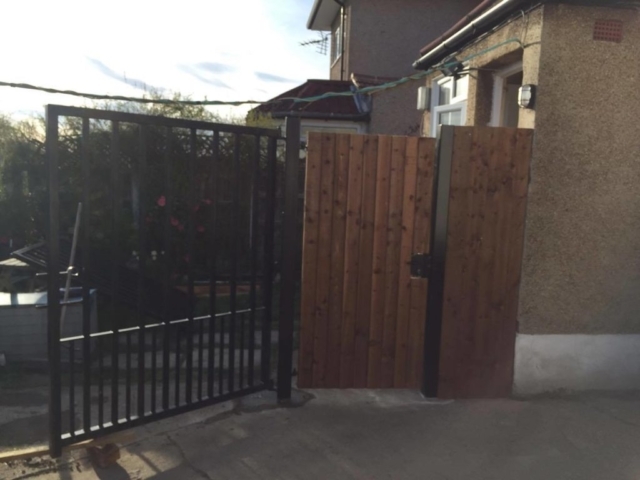 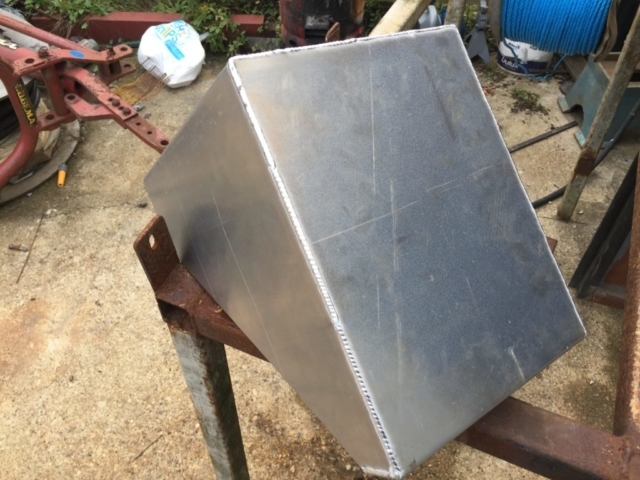 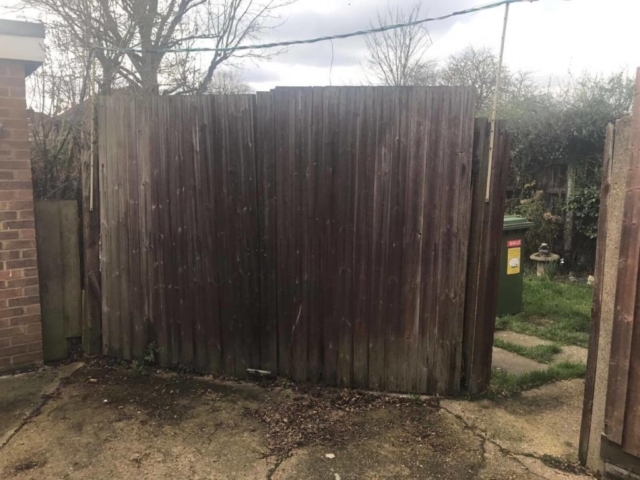 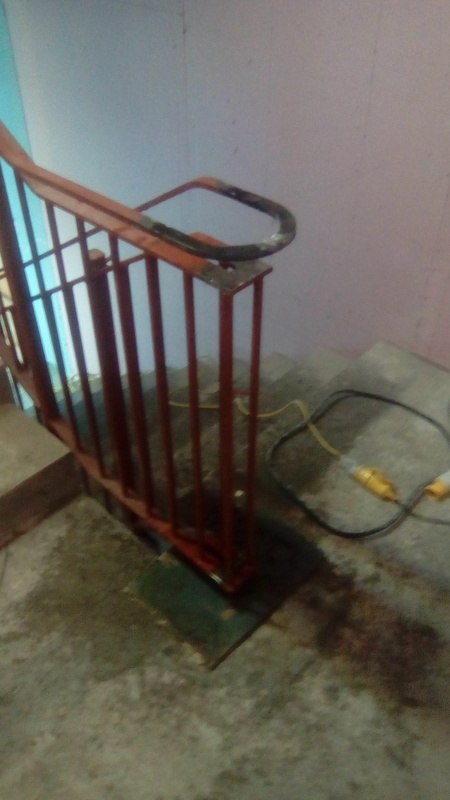 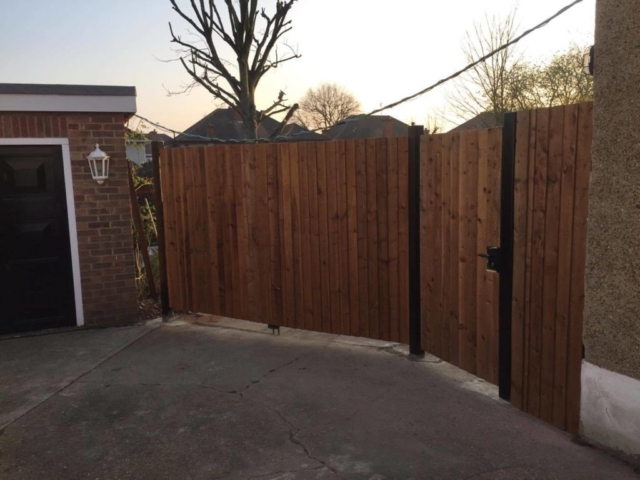 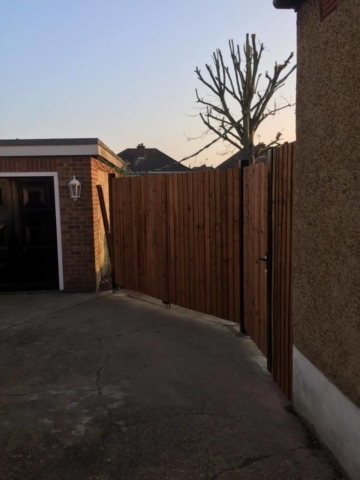 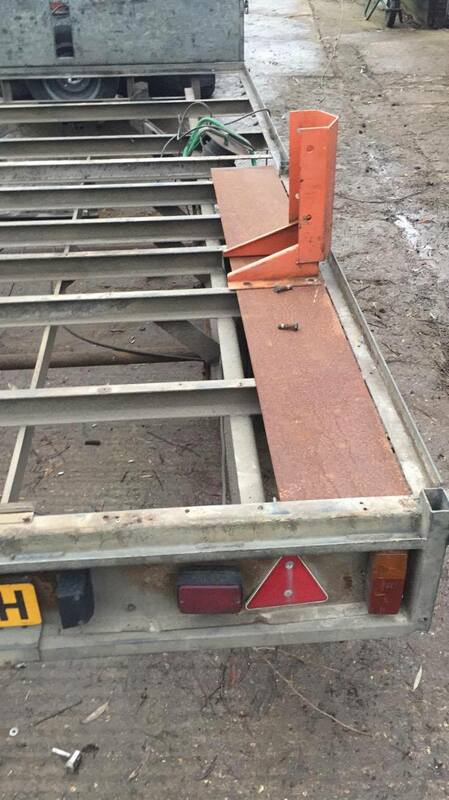 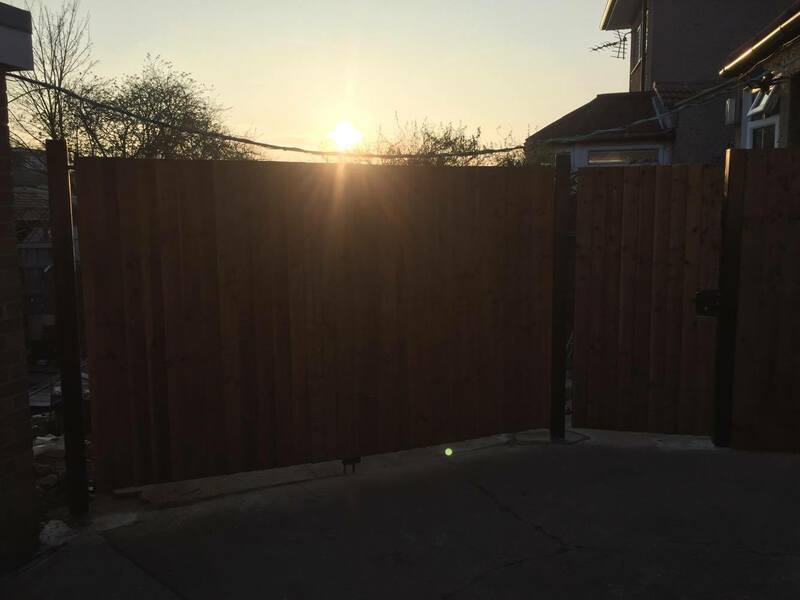 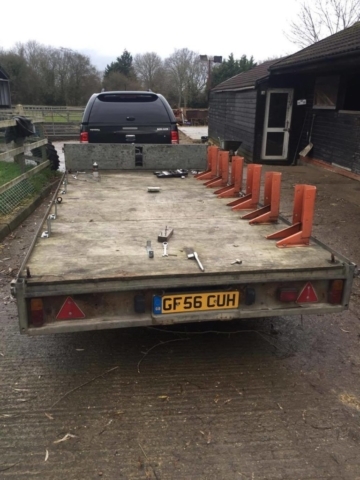 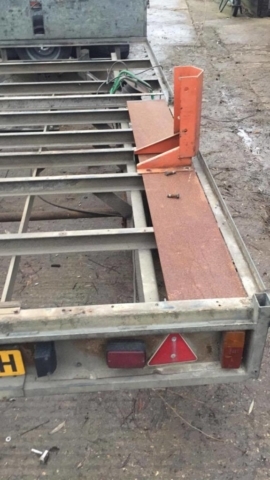 An example of domestic project for a customer replacing a set of rotten wooden gates with metal gates and metal posts, before cladding with featheredge board. 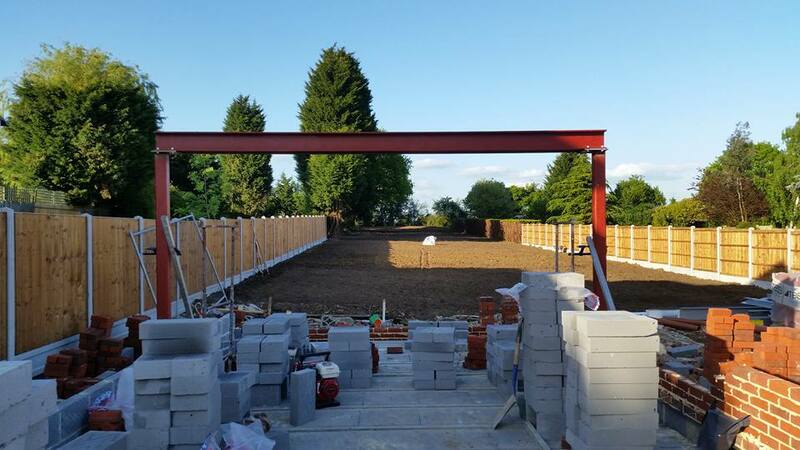 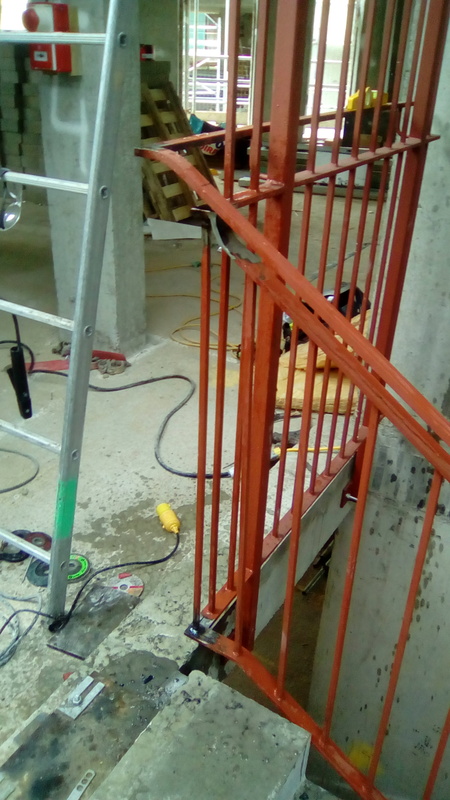 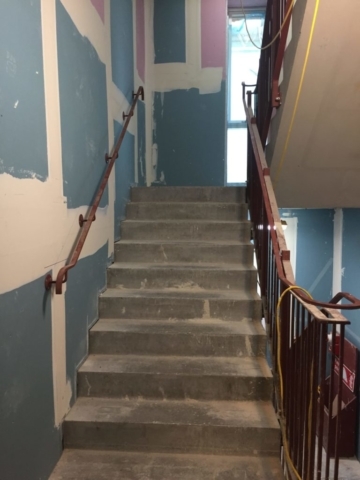 Various structural & architectural steelwork projects, including balustades and handrails, balconies and structural beams. 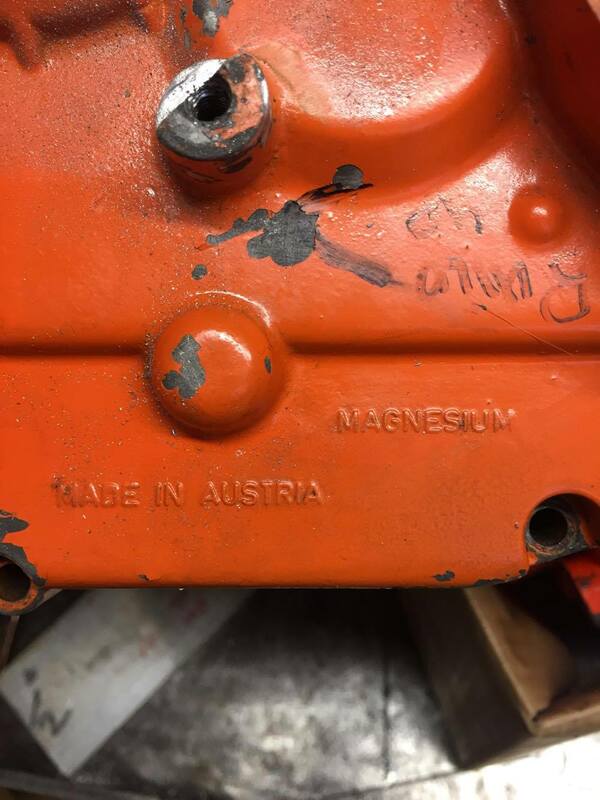 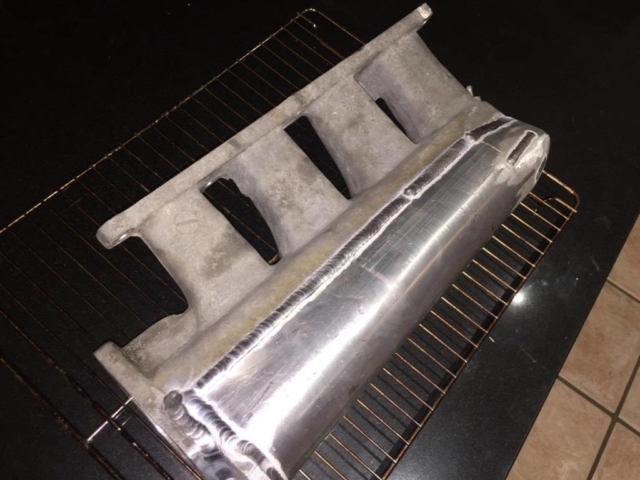 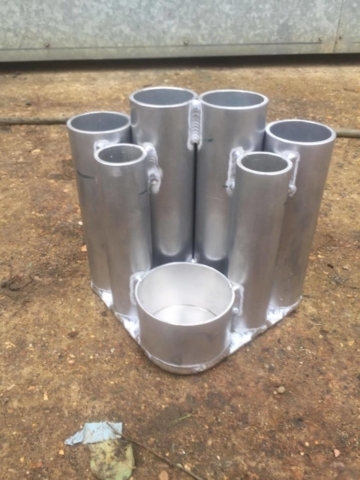 One of a few companies capable of carrying out magnesium repairs in the South East, we can acquire most flavours of magnesium alloys from our aerospace suppliers which enables us to repair a variety of magnesium casings & castings. 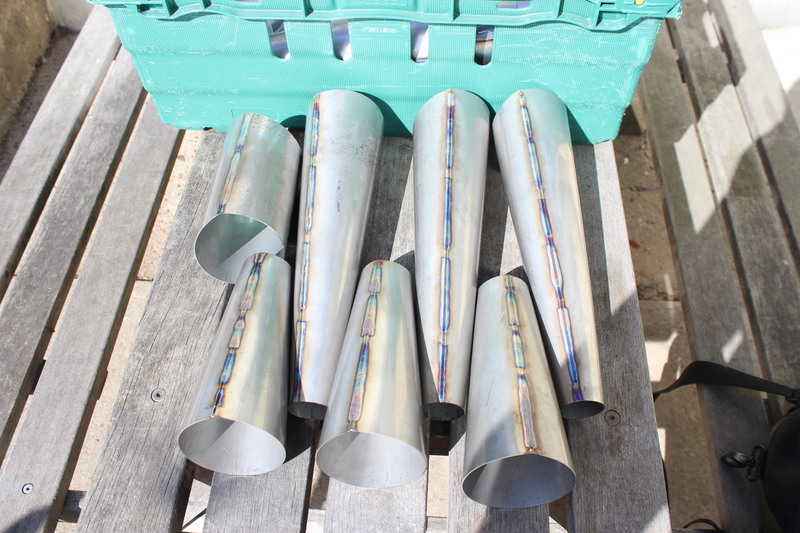 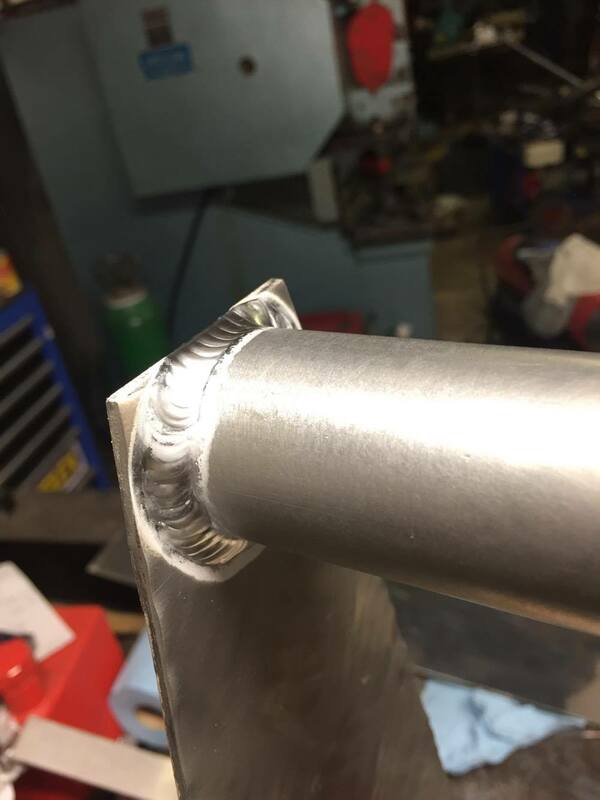 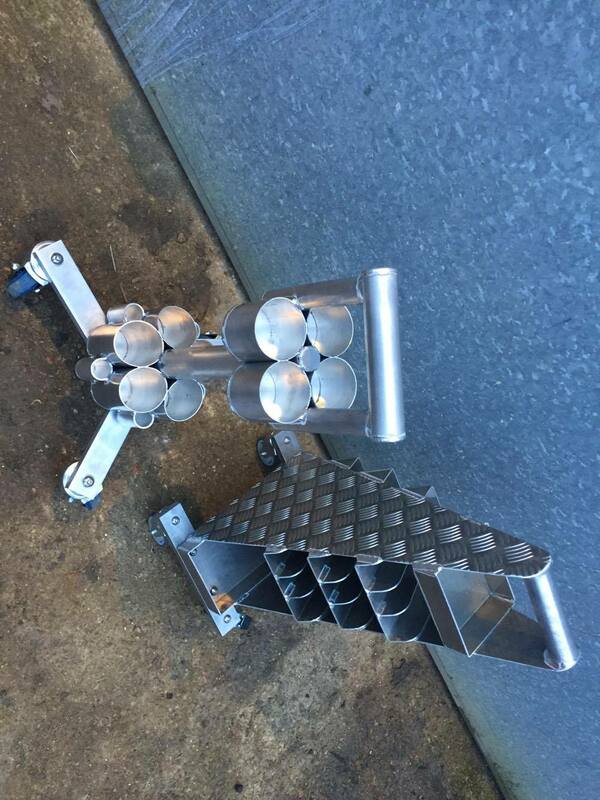 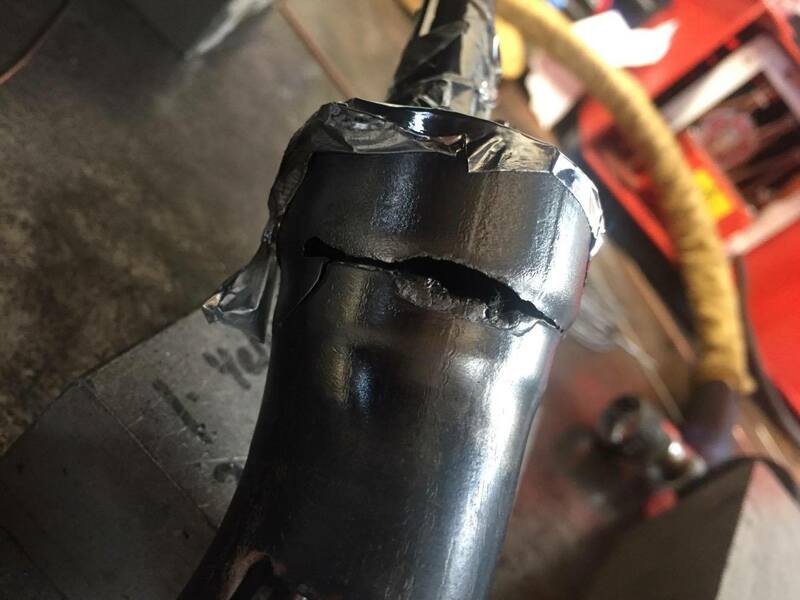 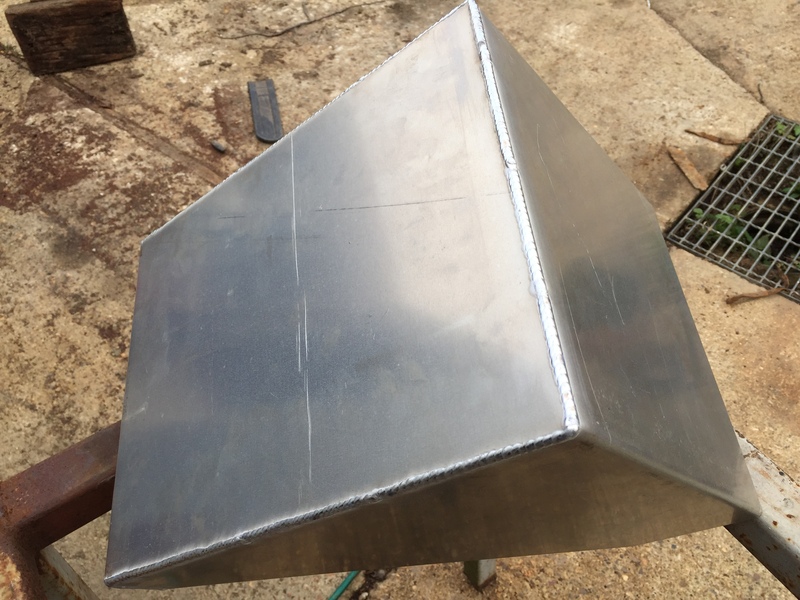 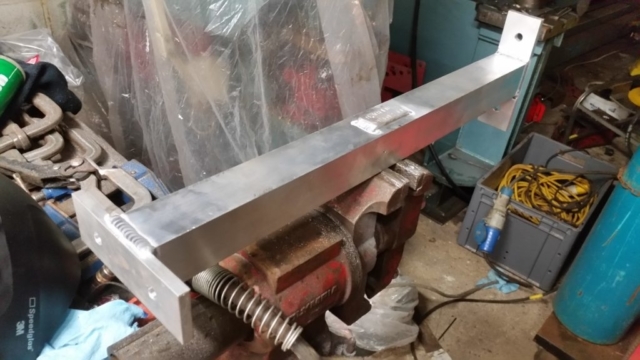 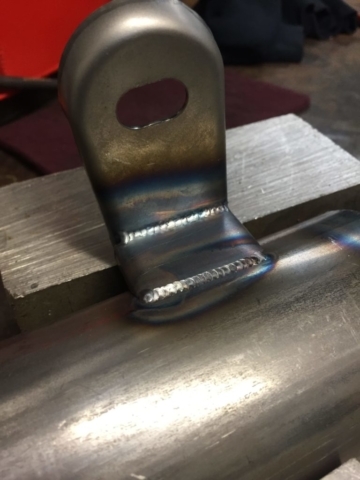 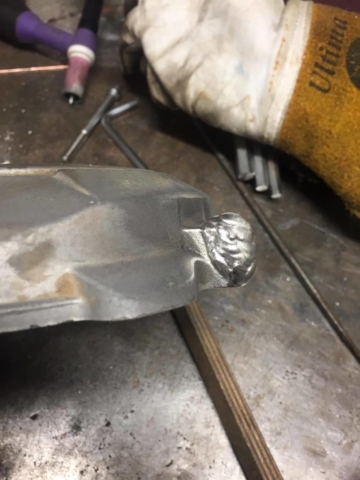 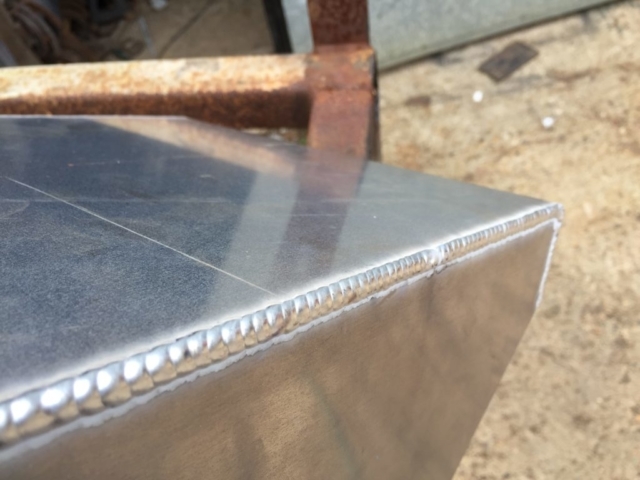 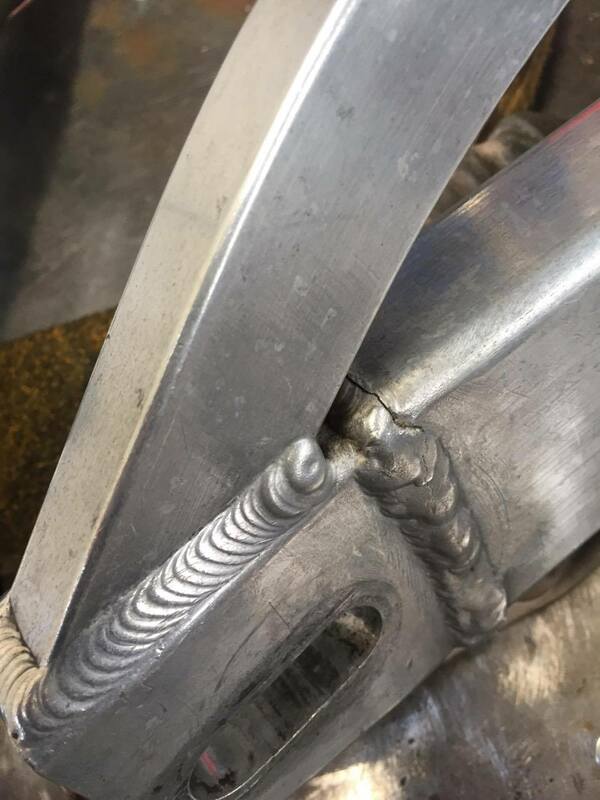 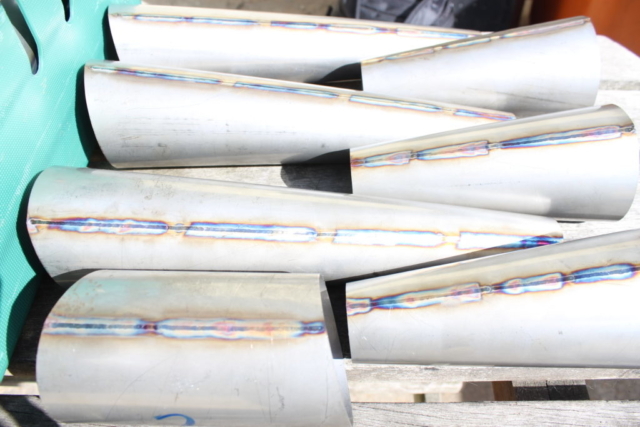 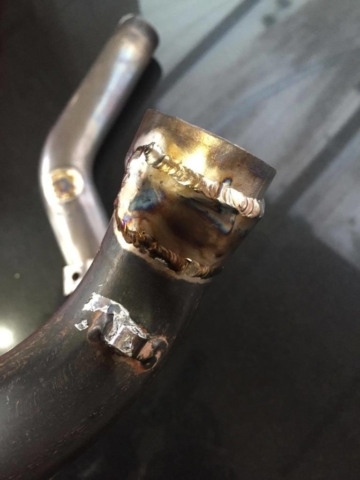 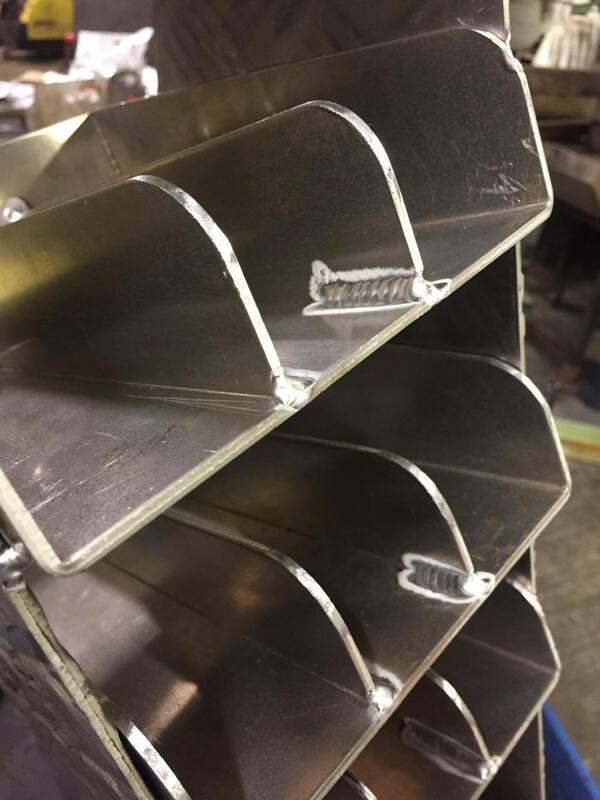 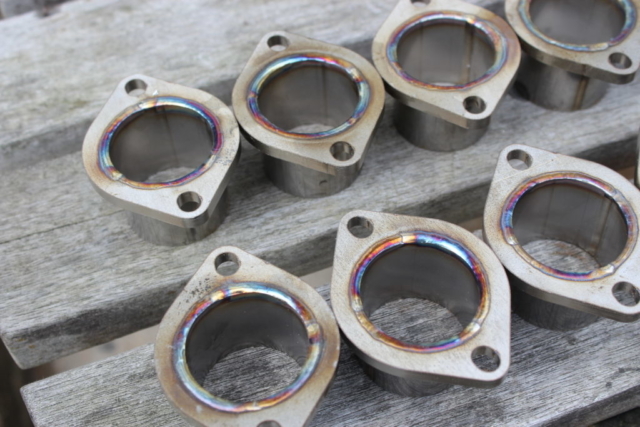 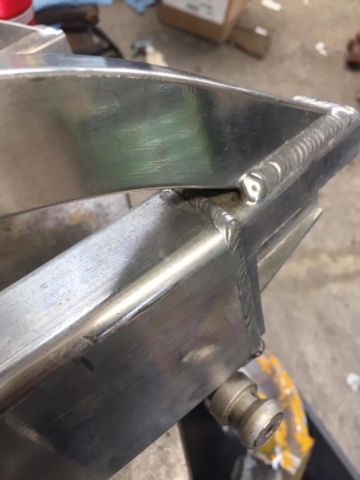 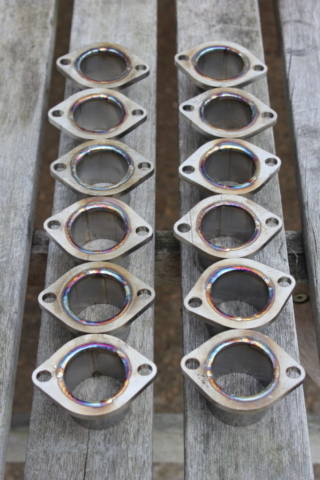 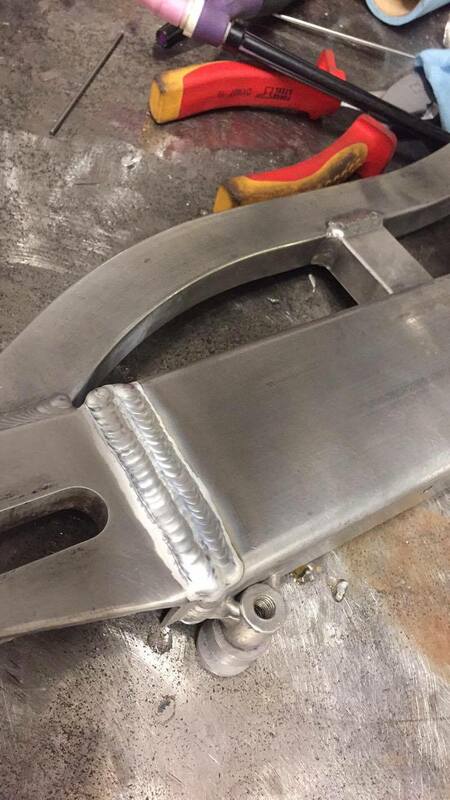 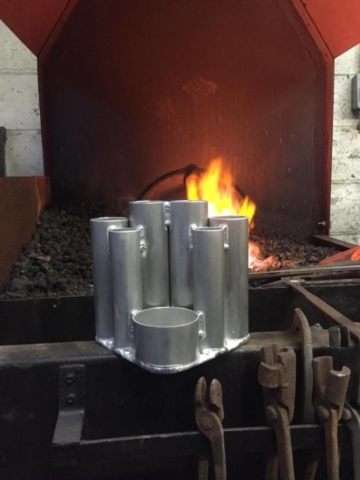 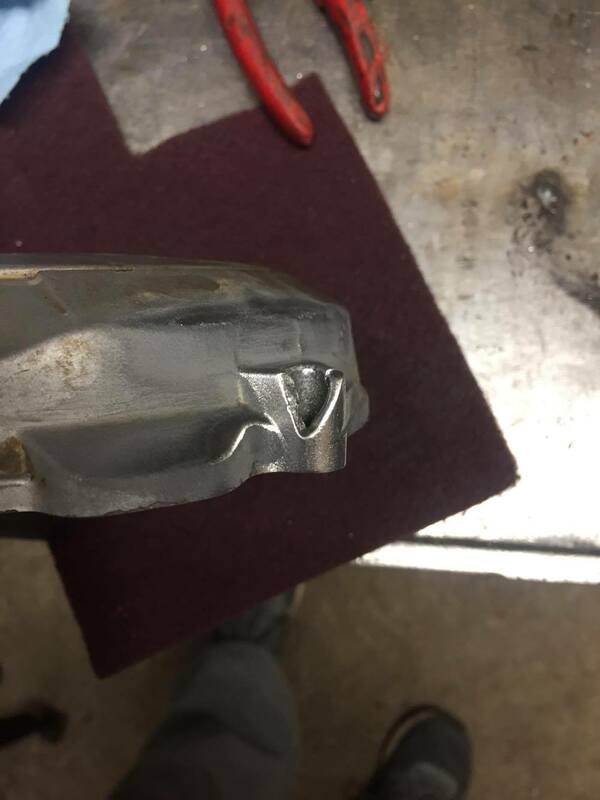 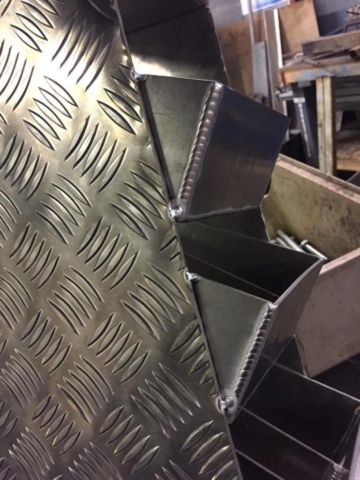 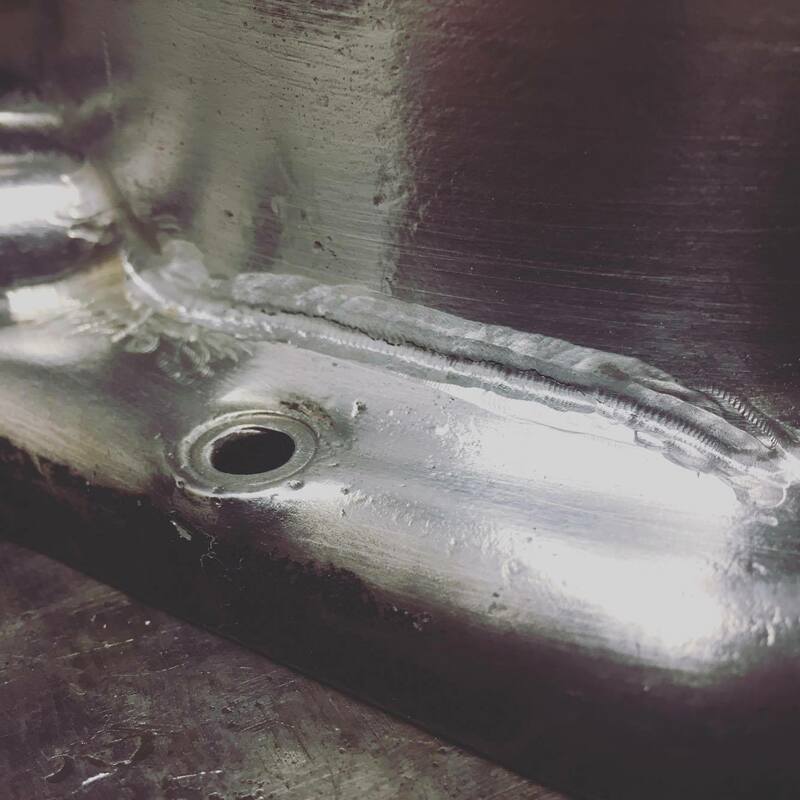 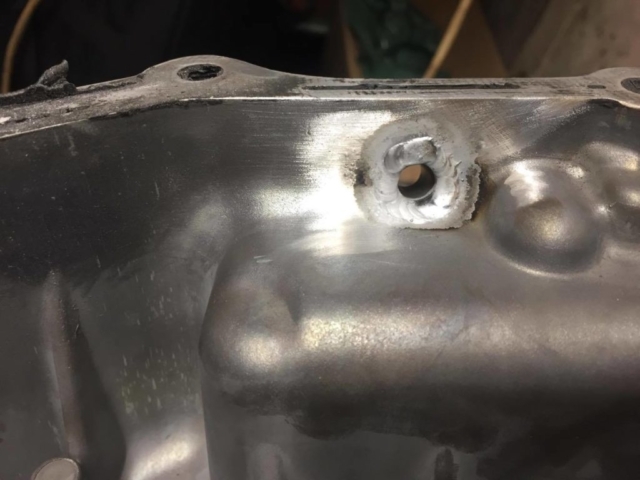 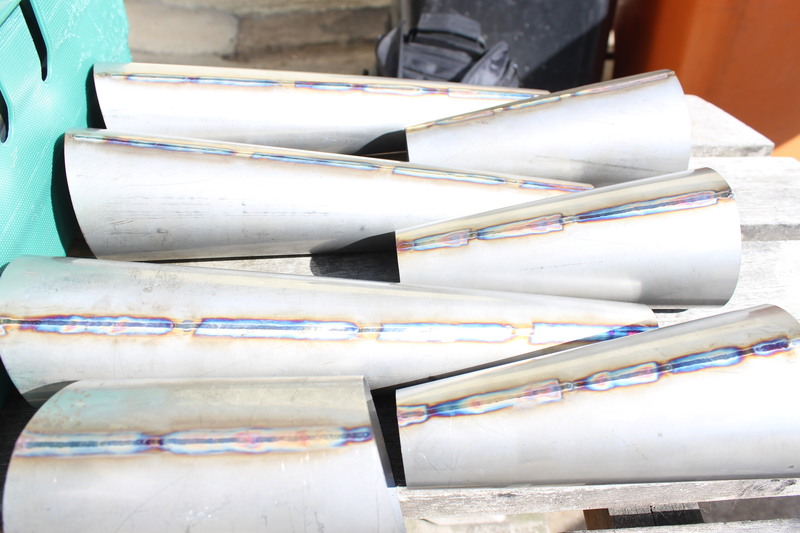 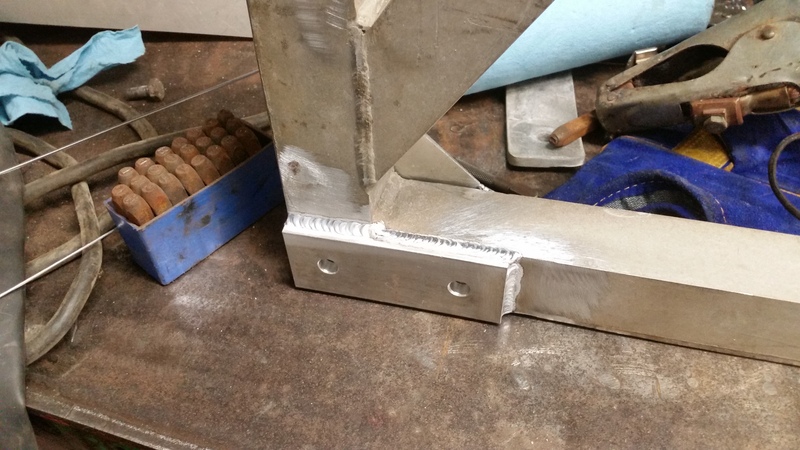 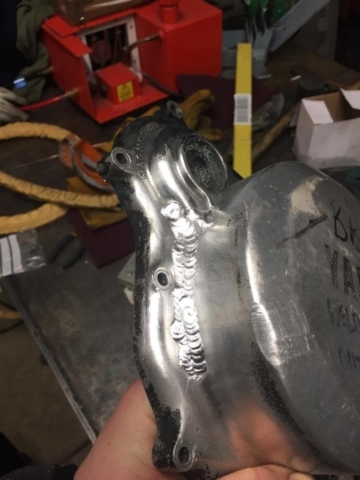 As with our magnesium welding we are one of a few companies outside the aerospace and high-end motorsport industries that can fabricate & weld with Titanium, Inconel & other more obscure metals. 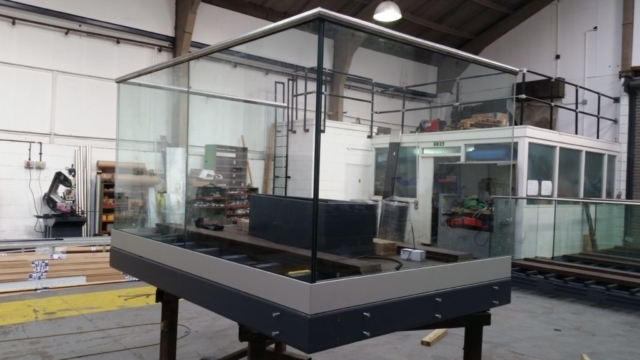 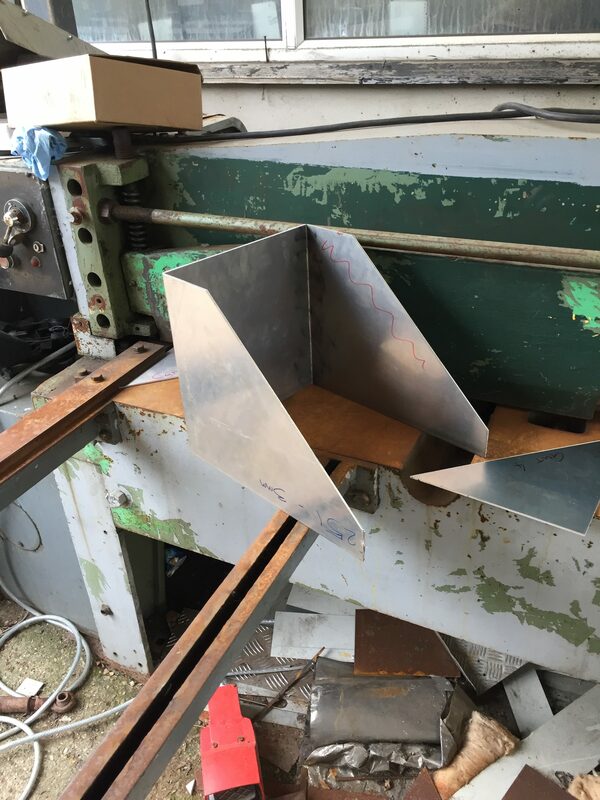 We are constantly investing in our equipment and training in order to cater to our clients needs when it comes to exotic materials. 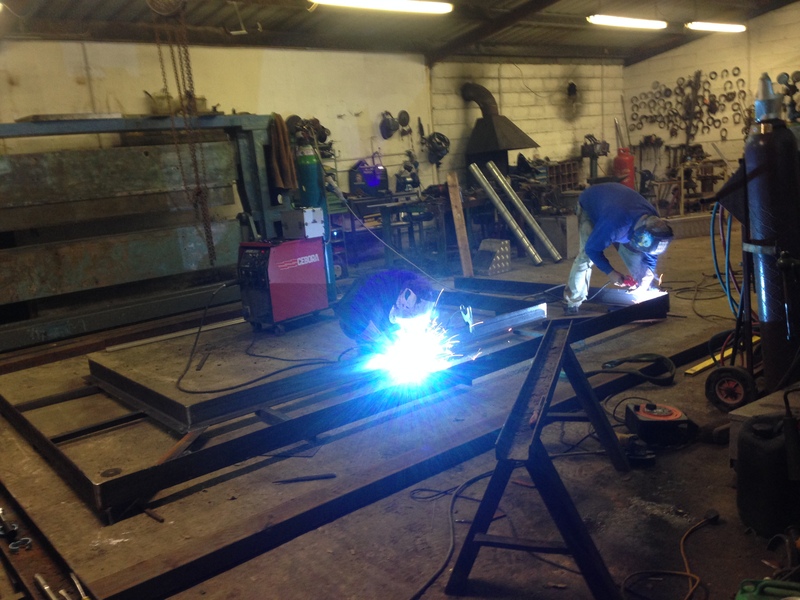 We commonly work with individuals & businesses alike on motorsport projects. 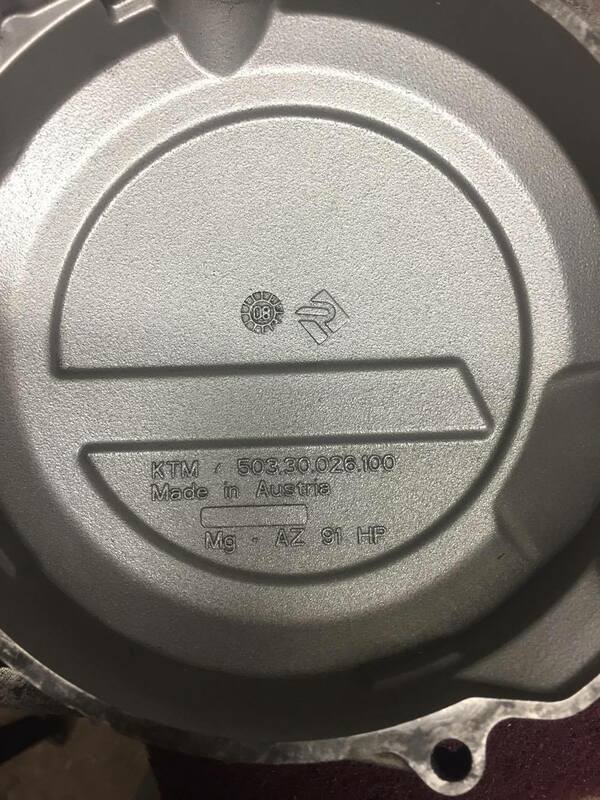 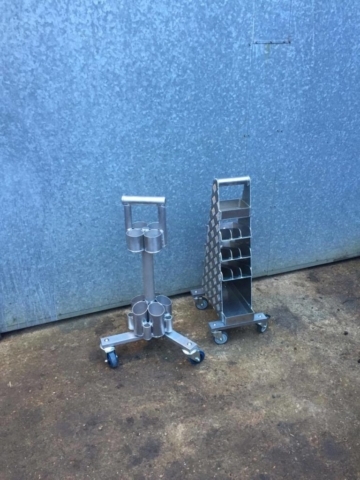 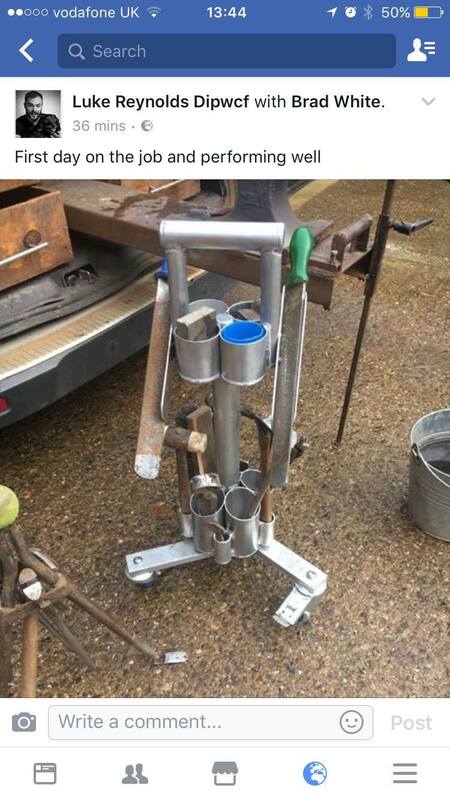 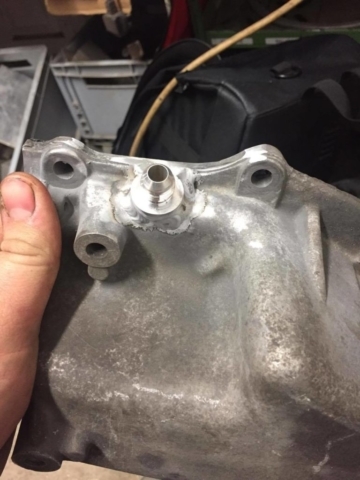 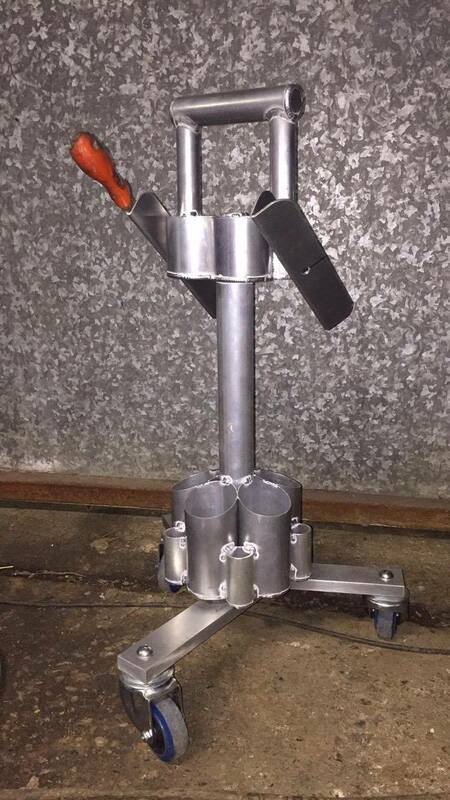 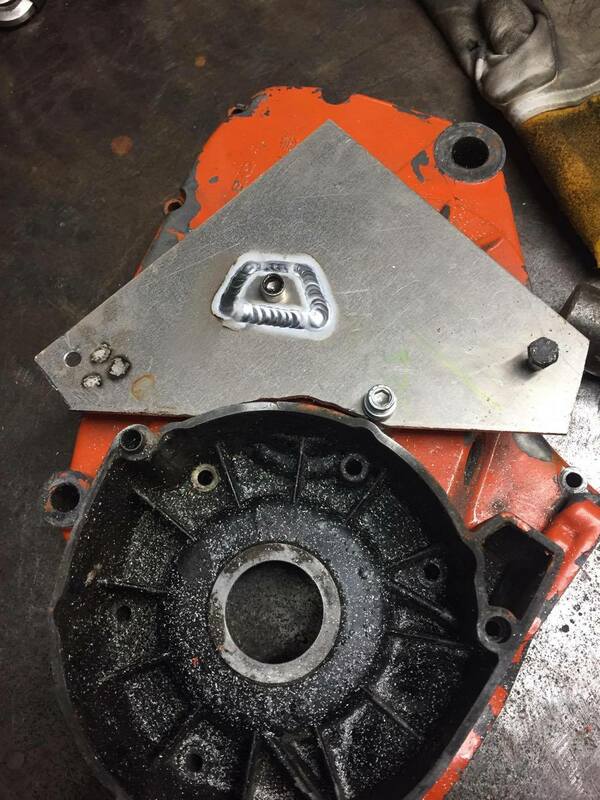 Below are some parts fabricated & repaired. 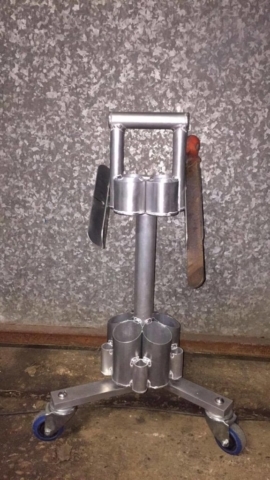 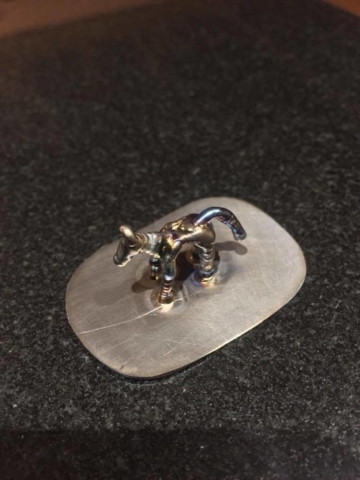 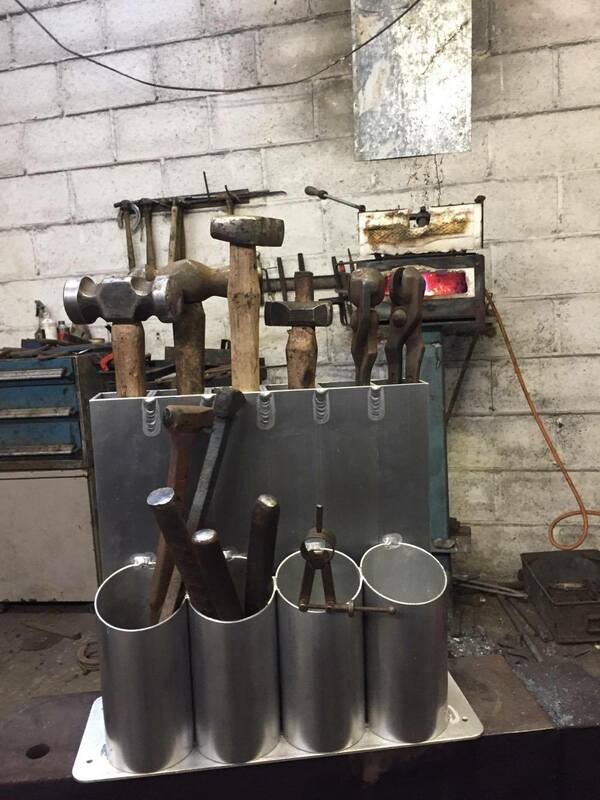 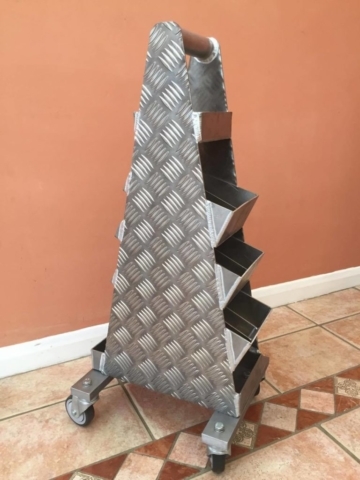 Coming from a Blacksmithing & Farriery background we were keen to venture into farrier products designed from Mark White’s own ideas and experience. 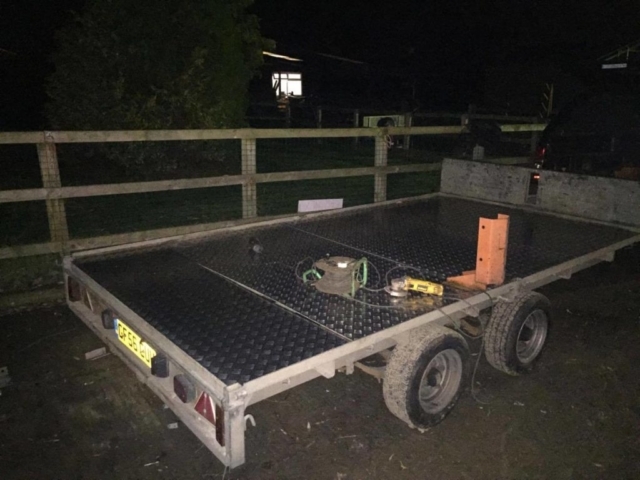 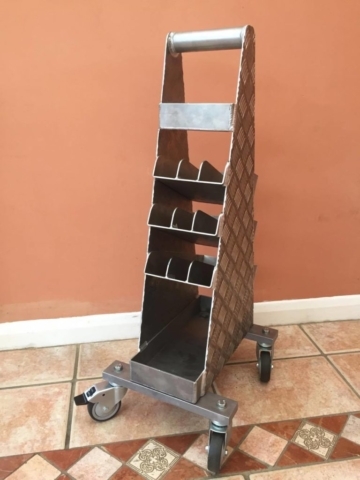 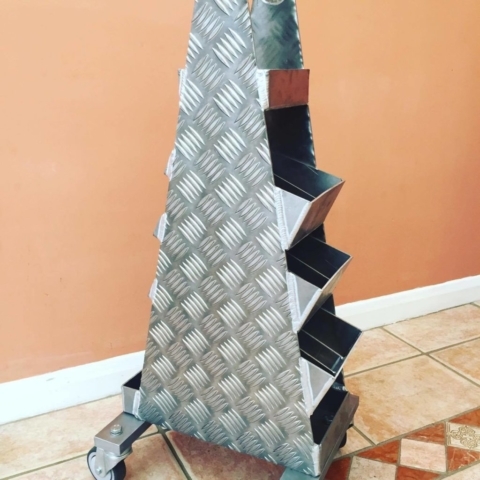 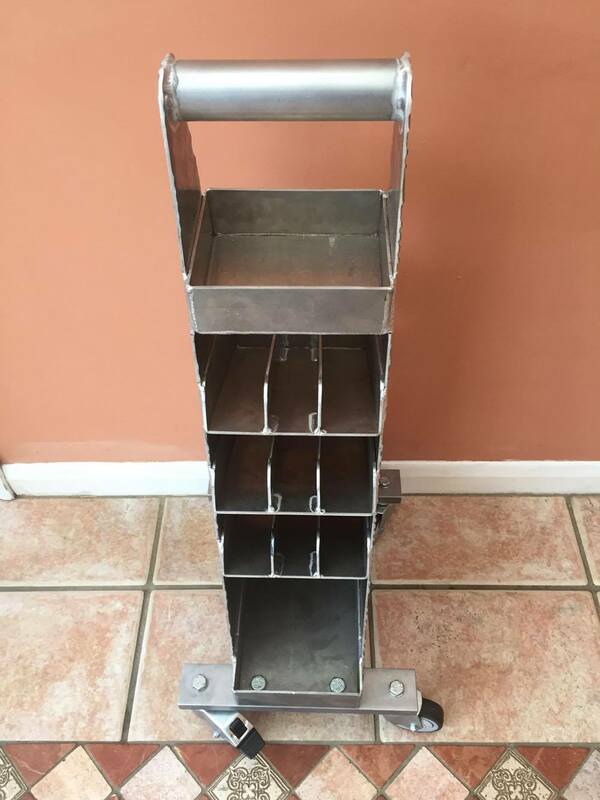 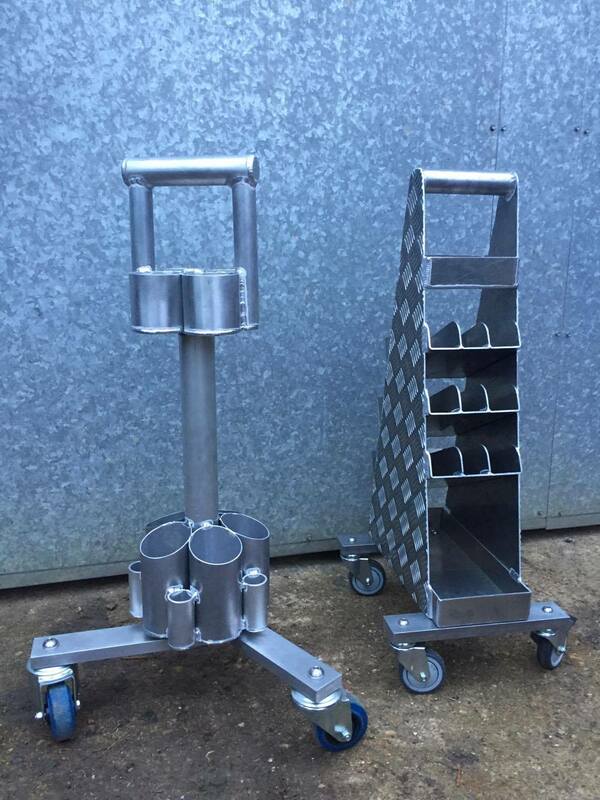 Handmade from start to finish in Essex, we supply some of the highest quality tool boxes and accessories available.